Your morning cup of coffee or tea may do more than just perk you up. IN a study announced last week, an international team of researchers led by Duke University School of Medicine in North Carolina suggests that increased caffeine intake may reduce fatty liver in people with non-alcoholic fatty liver disease (NAFLD). Worldwide, 70% of people diagnosed with diabetes and obesity have NAFLD, the major cause of fatty liver not due to excessive alcohol consumption, the researchers said. Currently, there are no effective treatments for NAFLD except diet and exercise. Using cell culture and mouse models, head researcher Dr Paul Yen and his team found that caffeine stimulated the metabolisation of lipids stored in liver cells and decreased the fatty liver of mice that were fed a high-fat diet. The findings appear online and will be published in the September issue of the journalHepatology. via Coffee and tea may protect your liver – Nutrition | The Star Online. Caffeine … is it your friend? Australians love their coffee. Yet many people feel guilty when they reach for that second or third cup. We know that too much can affect sleep quality and that pregnant women should have no more than four cups a day as higher amounts have been linked to stillbirth. We also know coffee can cause heart palpitations and even exacerbate anxiety disorders. 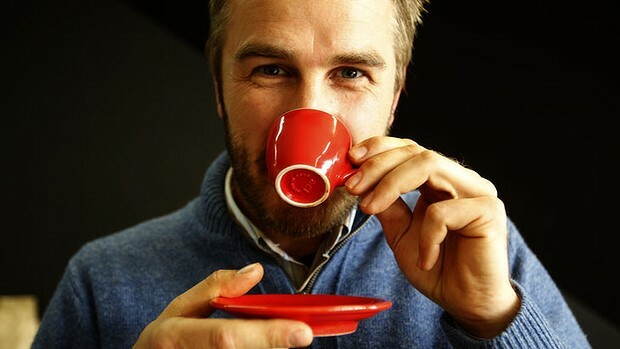 But there is increasing evidence that coffee drinking has a good side. 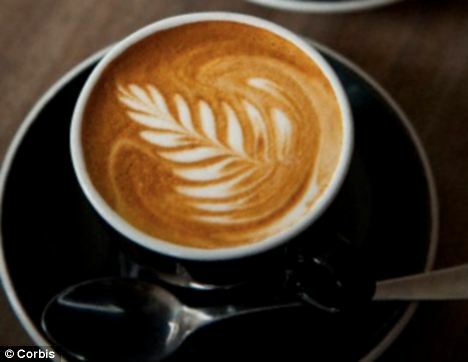 American journalist Jean Carper, author of 100 Simple Things You Can Do to Prevent Alzheimer’s, says coffee is emerging as a tonic for the ageing brain. She notes a Finnish study that found men and women who drank three to five cups a day in middle age were less likely to develop Alzheimer’s 20 years later. The study aimed to analyse links between coffee consumption at midlife and dementia/Alzheimer’s disease risk in late life. After an average follow-up of 21 years, 1409 people aged 65 to 79 were reassessed in 1988. The study concluded that coffee drinkers at midlife had a lower risk of these diseases later in life compared with those drinking no or only little coffee. The lowest risk (65 per cent decreased risk) was found in people who drank three to five cups a day. Coffee may also have a role in improving movement impairment caused by Parkinson’s disease. Canadian research published last year in the journal Neurology showed caffeine could help people who already have the disease. For the study, 61 people with Parkinson’s who suffered daytime sleepiness and some motor symptoms were given either a placebo or a pill with 100 milligrams of caffeine twice a day for three weeks, then 200 milligrams twice a day for three weeks – the equivalent of two to four cups of coffee a day. After six weeks, the half who took the caffeine supplements showed improvement in Parkinson’s severity, speed of movement and stiffness. Carper notes that coffee is an anti-inflammatory that helps block cholesterol in the brain and lower the risks of stroke, depression and diabetes. However, a recent study by the Western Australian Institute for Medical Research and the University of Western Australia shows the benefits derived from coffee drinking are dose dependent. Initially, the researchers set out to prove the cardiovascular benefits of coffee, but instead discovered it can worsen obesity and related diseases. Researchers focused on a compound found in coffee, known as chlorogenic acid (CGA), and found that in high amounts it can make humans fat in areas particularly detrimental to health. They found that mice given the equivalent of five regular cups of coffee developed double the amount of the dreaded visceral fat – the dangerous type that gathers around the abdomen. Scrambled, poached or fried? The health benefits derived from an egg depend on your answer. But if we focus on a plain old boiled egg, the health news is good compared with a decade ago. People with high cholesterol used to be advised to steer away from eating too many eggs, as it was believed that cholesterol in foods raised blood cholesterol levels. However, research has shown that cholesterol is influenced by the saturated and trans fat we eat rather than the naturally occurring cholesterol in foods. It is the ”bad” or saturated fat content in foods such as biscuits, chips, butter and processed and takeaway food that causes cholesterol levels to rise. Australian Dietary Guidelines now recommend we consume more eggs and that up to seven a week is acceptable. Eggs contain important nutrients including folate, omega 3 fatty acids, and arginine (a precursor for nitric oxide, which increases blood flow), which may reduce the risk of cardiovascular disease. And, they won’t make you fat. One egg contains five grams of fat – most of which is the ”good”, unsaturated fat that you need to be healthy. An egg contains only about 1.5 grams of saturated fat and no trans fat. Eggs are also a natural source of at least 11 vitamins and minerals and are a high-quality protein. A University of Sydney study is also investigating the role of eggs in managing type 2 diabetes. Researchers aim to identify the potential health benefits of a high egg diet in pre-diabetics and those with type 2 diabetes. Participants are following a specific high-egg diet (two or more a day for six days a week) or a low-egg regime (fewer than two a week). Research leader Nick Fuller says: ”We are addressing the limited amount of precisely conducted research on eggs in a high-risk population such as type 2 diabetics to clear up misconceptions about how many eggs diabetics can actually have.” Researchers aim to complete the study in six months. We need salt to survive. It helps our body maintain the correct balance of fluids, in order to transmit nerve impulses and maintain proper muscle function. But we don’t need to add salt to our food. We can get enough from what is found naturally in foods by eating a balanced diet. We know that too much salt in some people can cause high blood pressure, putting them at risk of heart disease and stroke. Salt is made up of two compounds – sodium and chloride. If you choose to add salt, it’s better to use the iodised type because of the body and brain’s need for iodine. The World Health Organisation says pregnant women need about 66 per cent more iodine than non-pregnant women. It recommends pregnant or breastfeeding women consume 250 micrograms a day as a total daily intake, which is almost impossible to achieve through diet alone. In 2010 the National Health and Medical Research Council advised all Australian women who were pregnant, breastfeeding or considering pregnancy to take a daily supplement of 150 micrograms of iodine. The only exception is women with thyroid issues, who should speak to their doctor before taking a supplement. Most foods are relatively low in iodine, so to ensure more people have enough, WHO and UNICEF are recommending universal salt iodisation. In 2009 in Australia, iodised salt replaced the non-iodised variety in all breads sold (except organic). Not so long ago it was thought that all oil was bad for us. The well-documented benefits of the Mediterranean diet, with its healthy amounts of olive oil, have taught us that good oils have a place in a healthy diet, and have been linked to reduced levels of obesity, metabolic syndrome and diabetes. Restriction of fats was related to reducing cholesterol levels and kilojoules. Further research showed that very-low-fat diets are not always advantageous for weight control and that reducing unsaturated oils is counterproductive to heart health. Oils are a complex mixture of different fatty acids, including the polyunsaturated omega-3s and omega-6s, monounsaturated, and saturated types. The fats that we ingest from oil have important structural roles in maintaining nerve impulse transmission, memory storage, and tissue structure. Regular trips to the coffee machine or having a diet packed with saturated fat have been linked to lower IVF success rates by fertility experts. 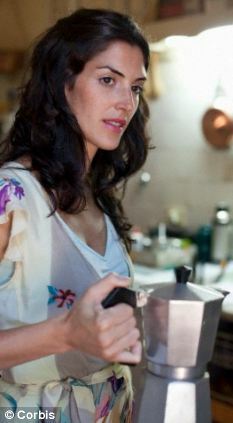 One study suggested heavy coffee drinking was as bad as smoking for IVF success rates. Another showed saturated fats lowered the number of eggs that could be used in IVF, while a ‘Mediterranean diet’ boosted birth rates. Experts say lifestyle affects both the chances of IVF and natural conception. Dr Ulrik Kesmodel, a consultant gynaecologist, presented data at the European Society for Human Reproduction and Embryology (ESHRE) meeting in Turkey. It involved 3,959 women having IVF at the Aarhus University Hospital in Denmark. 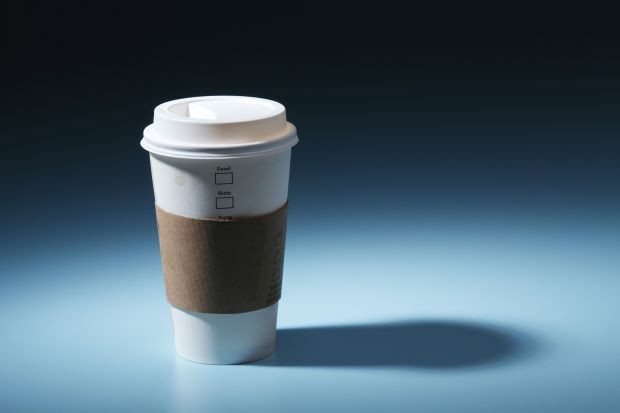 One in 20 women were drinking more than five cups of coffee a day. This group of women were half as likely to become pregnant as those who did not drink coffee. The researchers said this was as damaging to the chances of a successful pregnancy as smoking. It is not known whether drinking tea or other caffeinated drinks would have the same effect. The British Coffee Association said a there was no need to completely cut caffeine from the diet as there were “no harmful effects” with low levels of consumption. Its executive director, Dr Euan Paul, said: “For pregnant women or those trying to conceive, an upper limit of 200mg of caffeine per day is perfectly safe. A separate analysis by the Harvard School of Public Health, in the US, investigated how differences in 147 women’s diets affected IVF. Diets high in saturated fats, such as those from butter, fatty meats and cheese, lowered the number of eggs a women produced for IVF. Meanwhile a diet high in unsaturated fats, such as olive oil and avocados, was associated with an increase in the live birth rate, although there were too few women in the study to say exactly how big the increase was. The lead researcher Dr Jorge Chavarro said that women should consider adapting their diet anyway as it is already considered to be good for cardiovascular disease and Type 2 diabetes. Richard Kennedy, the secretary of the International Federation of Fertility Societies, said that “many” lifestyle choices made it harder to conceive both naturally and through IVF. Previous studies have looked at the link between coffee consumption and major causes of death with varying results. ”There has been a concern that drinking coffee might increase risk of death, but I think our findings show evidence against that,” says lead researcher Dr. Neal Freedman of the division of cancer epidemiology and genetics at the National Cancer Institute (NCI), which is part of the NIH. The caffeine in coffee has been shown in one study to help prevent memory loss in advanced diabetes. Researchers in Portugal have found that the consumption of caffeine could protect against memory loss associated with advanced diabetes. It’s an area of study that’s not well developed, say scientists from the University of Coimbra: how badly managed type 2 diabetes — which accounts for 90 percent of all diabetic cases in the world — affects the brain, causing memory loss and learning problems. After observing the effects of type 2 diabetes in mice, researchers found that the neurodegeneration caused by the chronic illness exhibited the same stages of several other neurodegenerative diseases like Alzheimer’s and Parkinson’s. For their study, released this week and published on PLoS One, researchers compared four groups of mice: diabetics, normal, with and without caffeine. 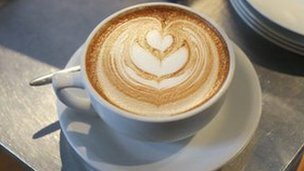 The results showed that pumping caffeine — equal to eight cups of coffee a day — in the diabetic mice accomplished several things: reduced weight gain, lowered blood sugar levels and prevented memory loss specifically in the hippocampus, an area of the brain that often atrophies in diabetics. Mice with type 2 diabetes exhibited abnormalities in their synapses which facilitates communication between neurons, and astrogliosis, a phenomenon in which there’s an abnormal increase of cells surrounding neurons. But mice fed a diet high in caffeine fared better than their counterparts suffering from less brain damage, a finding that could have wider implications in the treatment of other cognitive diseases like Alzheimer’s and dementia. Despite the findings, researchers stopped short of advising people to drink eight cups of coffee a day. Meanwhile, a 2010 study also found that caffeinated products like coffee and tea could likewise help prevent the onset of diabetes, after the mice in the their experiment developed better insulin sensitivity and lower blood sugar levels.